Patchouli has a strong, sweet, but spicy fragrance. Patchouli essential oil is often used in skincare products as it is a superb tissue regenerator and is helpful in the re-growth of skin cells and the formation of scar tissue. Its deodorising action helps reduce the smell of sweat and cools down inflammation. It is also used to deter moths, bedbugs and insects. Patchouli has a balancing and grounding effect on the mind and the emotions. It can be used to help reduce lethargy. Patchouli essential oil is obtained from the young leaves of the plant which are dried and then fermented before distillation. It blends well with black pepper, frankincense, geranium, bergamot, clary sage, lavender and myrrh. 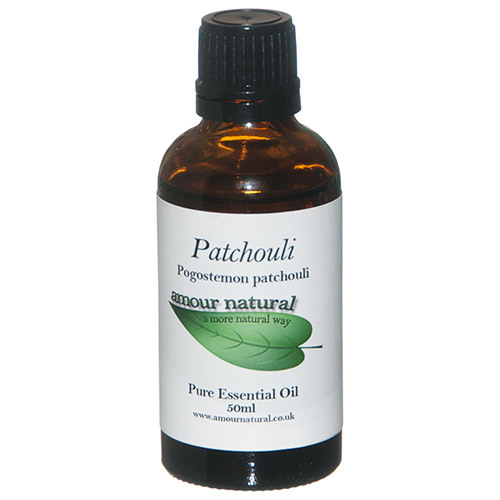 Below are reviews of Amour Natural Patchouli Pure Essential Oil - 50ml by bodykind customers. If you have tried this product we'd love to hear what you think so please leave a review.